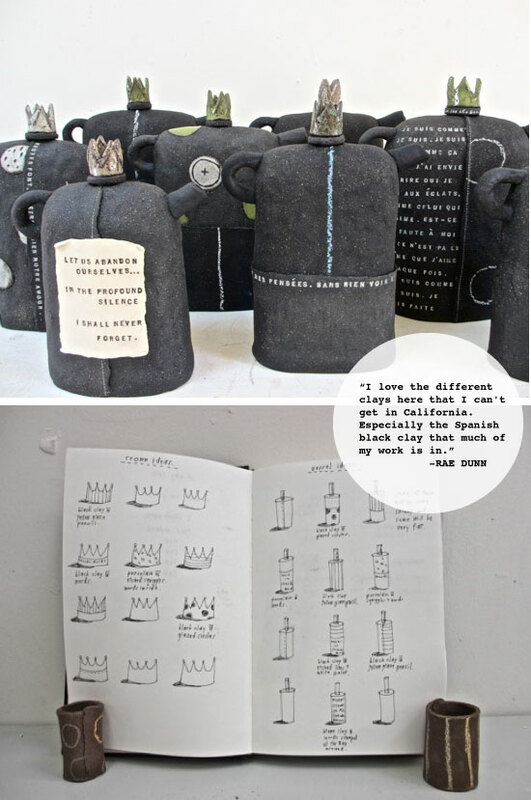 I'm always intrigued with the idea of working abroad and love the concept of "Artists in Residence" and so when I came across California-based clay artist Rae Dunn's current adventure at A.I.R. VALLAURIS in Vallauris, France - I got totally pulled in. This is Rae's second year with the program in the South of France - and when I saw her new work I asked if she'd mind sharing a few images from her exhibit that is running this week there at la cabanon (June 23 - 29/12). The work is a result of her residence which enables her to use clays not available in California and also allows her to create anything she wants taking her away from production and custom work that takes up more of her focus here in North America. I asked Rae to share a bit of her experience also with us and this is what she told me. 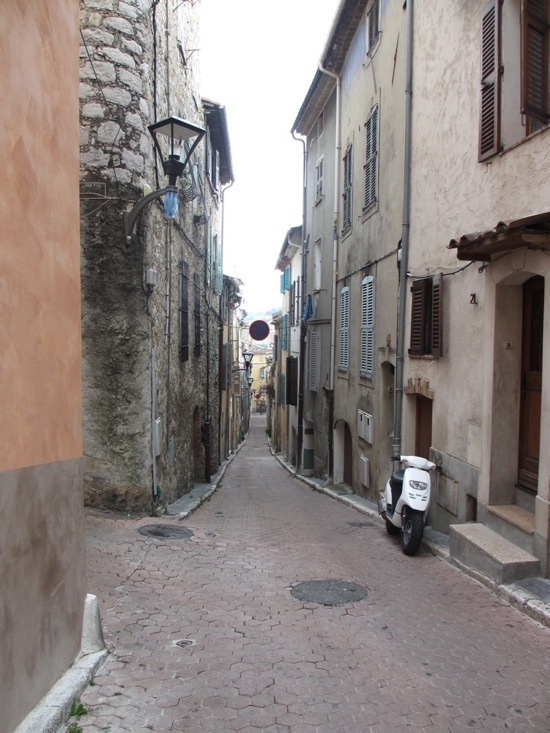 "Vallauris is the town where Picasso did ceramics. Chagall and he actually worked in the same factory here. 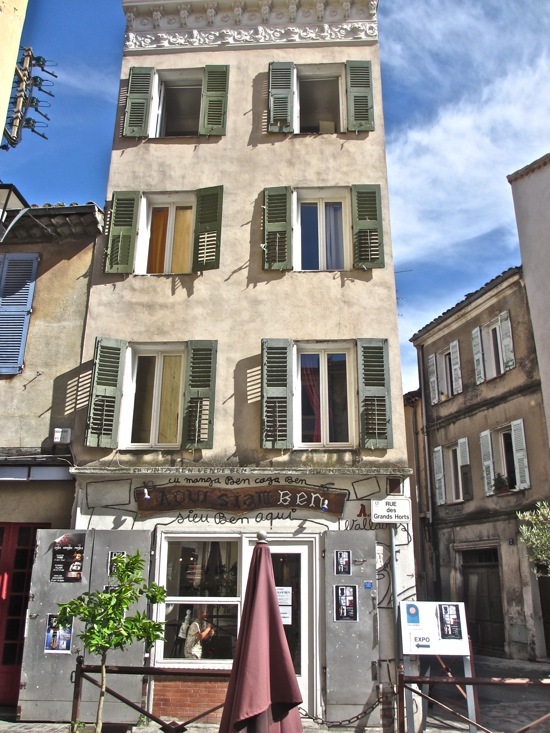 Picasso, Chagall, and Matisse were all friends in this area (Anitbes, Nice, Vallauris . . . ). I truly believe that this is a magical place where inspiration OVERFLOWS. It's in everything. The light, the colours, the smells, the tastes, . . . . i LOVE it here more than anywhere else in the world. I have found so many layers of inspiration and feel like it has opened me up as an artist and creatively SO MUCH. It is really quite amazing. What i am taking away from this residency is a new sense of COLOUR, TEXTURE, and SMELLS". I am two miles from the mediterranean sea. I run there every morning, swim, and run back. Getting away from my life and usual routine and being transported to a beautiful setting and given a studio where I can make anything I want is pure heaven. Not having to do production and custom work has made me want to change the way I conduct my business. Stay tuned for LESS products and MORE ART." 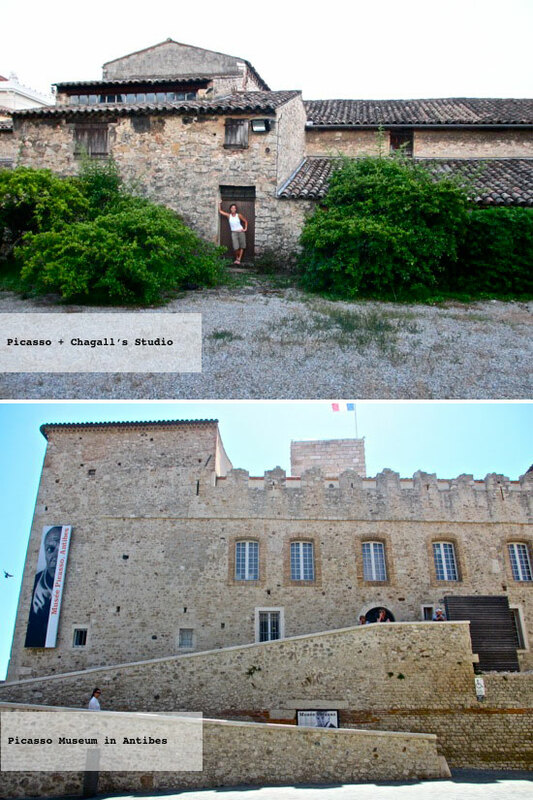 If you're lucky enough to be in the South of France this week Rae's exhibit runs June 23 - 29 at La Cabanon, Vallauris, France. She will also have work in the Gallery Aqui Siam Ben, Place Lisnard, 1 Bd des Deux Vallons, Vallauris, France. Absolutely STUNNING lady and works of art. Thank you for replenishing my creative spirit today with this post. Cheers! Absolutely amazing! I'm in love with the black bottles that are based on that amazing looking rose wine bottle, and the paintings on porcelain are just divine! WOW utterly gorgeous... love it! I know this place so well! So funny also to see a mention about A.I.R Vallauris in Poppytalk. Dale ( and he is canadian ::wink wink) founded it many years ago. He always has amazing artist in residence. I bought some pieces from some of them along those years. 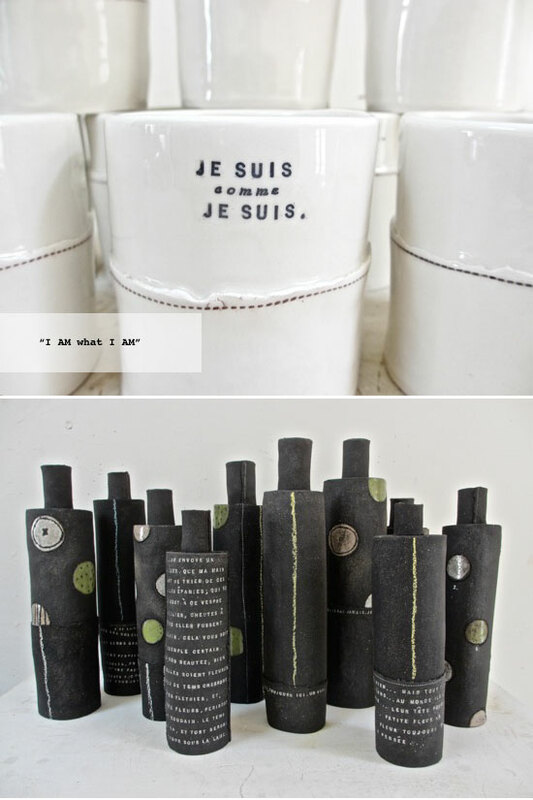 Rae Dunn is one of my favorite ceramic artist. Have couple artwork from her at home that i cherish very much. Thank you for this great article! I adore how this post mixes art and life. Kudos to you and to Rae! 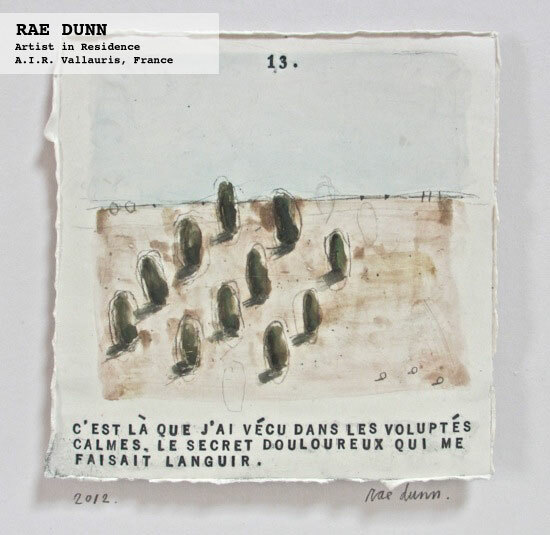 I am always so inspired by Rae Dunn's work. I loved the article. I found Poppytalk through Rae Dunn's blog and I love it. My day has a deadline attached to it, so it's taking everything in me not to get lost here for hours: just stunning. 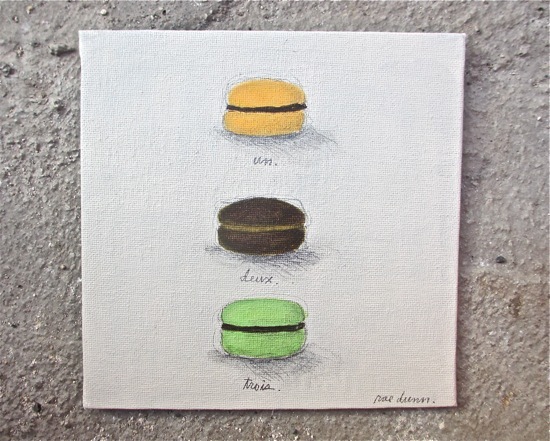 MERCI, jan, for the great post on my residency . . . and yes, i forgot to tell you that dale (who started the residency) is CANADIAN !